Want to learn more about your local heritage and explore historic maps? 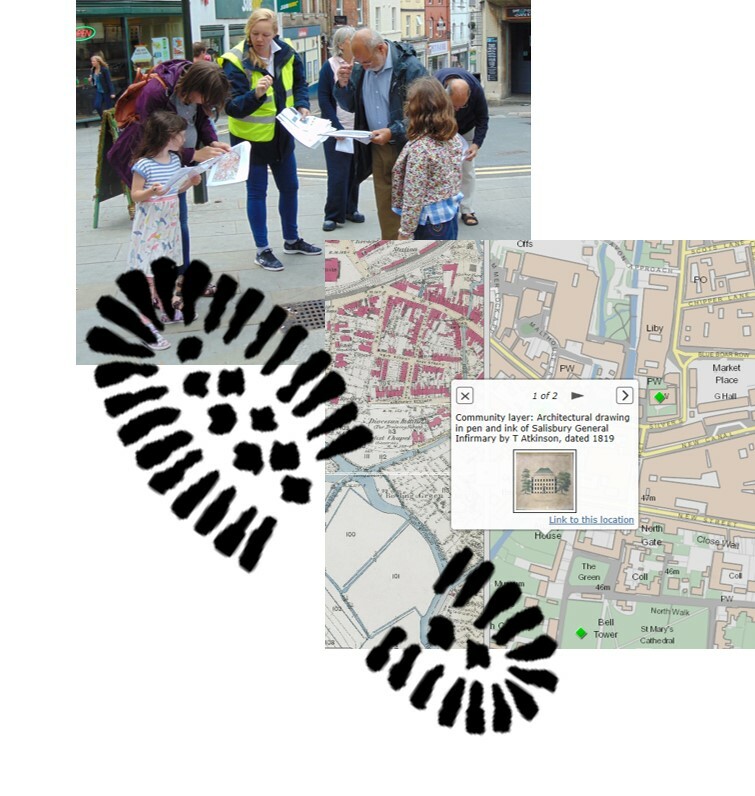 Come along to one of our FREE heritage walks across Wiltshire, Somerset and Bath! Know Your Place are running a series of FREE HERITAGE WALKS around the region to help you discover your local heritage on the go. Attend an introductory talk and bring your smart phones and tablets to explore Know Your Place as we go. Learn more about your local area and look at how it has changed through time through historic maps, photographs and related content. Suitable for all ages. Book your place by calling 01454 863779 – numbers are limited so secure your place today! For more information about the library click here. Receive a voucher for half-price entry to the museum. Either to be used on the day or within one month. One per participant. Meet outside the museum. For more information about the museum click here.